And just for that, I'm gonna have to rent it myself... I love the cheesy comedy of most of Jackie's films, even the "bad ones" are still enjoyable, IMO. And now I've seen it and... quite enjoyable. 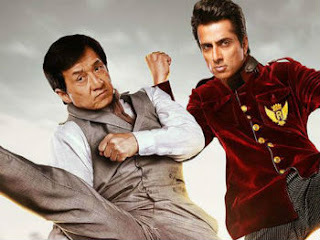 And Jackie Chan dancing Bollywood at the end was HILARIOUS!